We want to thank everyone for attending our programs through our local libraries. is one of Exotics R Us biggest fans! We will be continuing to add more upcoming 2019 dates so please keep checking back. ​Free to the Public Events! Throughout the year we are able to educate groups through local Libraries, if you attended one of our programs and have pictures or comments please email, post and/or share them with us and Mid-Continent. We are on Facebook and so are they! Recent Library Programs: **If you attend a program and have pictures please email and share them with us at jexoticsrus@yahoo.com or visit our Facebook! These exotic animal interactive programs are approximately an hour long and at no cost to the public through Mid-Continent Libraries, KCK and Kansas City Public Libraries. 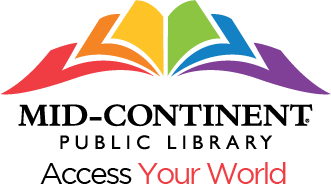 Check out Mid-Continentes latest Beyond the Books catalog to see more about the programs offered and also the Local Branch Facebook's and websites. ​Please go to the branch site you are wanting to attend and register prior to the program. You may be able to come without registering but many of the sites fill up and end up holding a waiting list but still are forced to turn away guests not signed up because of their building occupancy codes.